Covarr edit: 0.8.1b Download. To be removed if Aali's server ever comes back up. Nice work Aali, gonna start testing it now quickly, works great on my laptop now as well thank you, Controller still not working in FF8. Map the controller with keyboard keys. Working well here on my radeon 7900 with Catalyst 13.12. Thanks for the update. 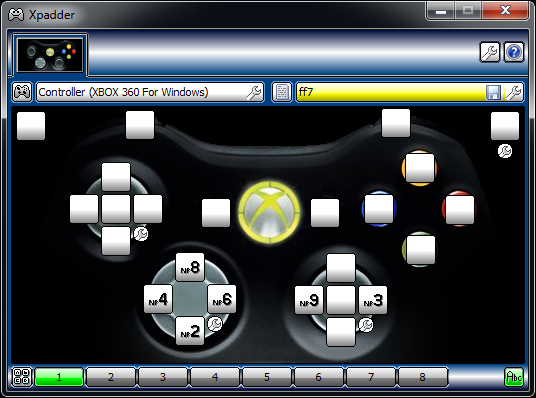 (Nevermind, see edit) Quick dumb question: I'm using Xpadder to remap my 360 wireless controller dpad to keyboard numpad keys so I can use both the dpad and the stick. Out of game the key mapping works, but in game the dpad input doesn't do anything. Any advice? Edit: Whups, figured it out. Xpadder has to be run as administrator. Wow. On an unrelated note, mapping numpad keys 9 and 3 to the right joystick makes running around the worldmap feel like a modern game! Now I can drive around using the two gamepad sticks. Ff8 seems to be losing controller function still, and bringing the RaW menu up with F1 has gotten a lot harder too. 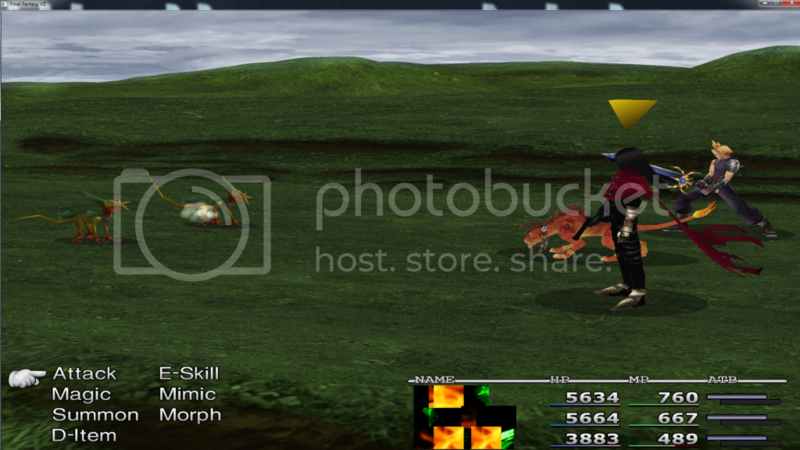 I have one bug with the Chocobo race. The first race after you have started the game seems to run in double speed. However, it looks like that it's correct in the races after. The last thing, which bugs me are the shadows in battle. Well, I guess I should say that the whole transparency system for the effects doesn't look right. On PSX the transparency faded from the center to the edge, but I don't know if it is possible to create this effect on PC easiely. Your game seems to be stretched quite a bit too Kal. I'm sure you know tho. I was able to upgrade the driver effectively with a fresh install, and with my original mods folder and the reunion installed it works great. I cant get the game to launch though with 7thHeaven. Has anyone else tried? I'm wondering if maybe it's not compatible with the new driver. ~played with the settings and still crashes before the first video plays. I was wondering if it was something to do with the new video location (I used Kompass63's convertor instead of running bootleg so the videos are still in ff7\data\movies) but the video location setting was added in 7H for that very reason. Has anyone else had any luck using 7H with the new driver? I'm running out of ideas. Something is different in the minigames which come with the Reunion. If you kick the minigames out of the Iro files every thing should work. Ah you're right, good call Kaldarasha thanks! That's weird, I only have models for the high way and chocobo mini games, but oh well. 7H doesn't load the magic lgp files either so I'll just use the lgps. My problem with the battle menu seems like it maybe related to the video driver. It's loading files from the mods\world folder for some reason and doing this. It works when I remove the world texture pngs. This are magic and effect textures. Have you tried to disable compressed textures? I'm not used to changing the settings in the ff7_opengl.cfg but I think compressed textures are off (used to use bootloader for changing settings). I don't have a back up of the original window.bin before converting the game but a lot of people use Kompass63's convertor without this issue from what I can tell. I'll try another fresh install and make a back up this time, cant hurt. DLPB is convinced it's not related to the reunion and if no one else with the new driver and png textures is having this problem than I'm running out of ideas. ~I'm not positive but the issue seems to be the driver, at least when paired with the Reunion. I can get either one to work alone, but together they screw up the battle menu. Is the new driver maybe not loading png textures correctly? Great work! Thanks a lot Aali! Nonetheless, I think that the 'disable_popup' option was quite usefull. For instance, when using Omzy's FFVII Field pack, we will often get a 'GLITCH: missed palette write to external texture' popup message and now have no way to prevent it anymore. I understand that removing this option enable a better debugging but when one want to play through the game, it really is distracting. It will only tell you that once each time you run the game and it is a valid error message, you are missing out on a palette effect that doesn't work with your new texture (it'll make your field screens look as dull as they do with the old direct3d driver). I believe there is already a tool out there that will automatically remove the offending textures. I think it's included in bootleg, so if you have a copy of the field textures after an installation that should be fine. I'm not sure what the tools called though. Since the errors don't seem as sensitive, and only show once per error they aren't as distracting, so it's not as big of a deal. I was wondering about the limited RAM cache issue. Is that something that can be disabled so it just works like .711b for now until a fix can be released? Have you experimented to make the cache bigger? Can you confirm that this doesn't happen with the Direct3D driver? I haven't tried bigger yet, but changing the cache to 0 seems to disable it. After about 15 minutes of random battles the battle menu didn't glitch and the game didn't crash. It'll probably still have the same problem .7.11b had where it'll eventually crash, the app log is certainly throwing up some errors, but it seems like it'll work until an update is released. ~I tried several times to get this to post as code earlier and finally got it. Went to reference an earlier post, without changing anything here, and found it posted the code again directly to the post. I'm not sure what's wrong but whatever most of the app log is there at least, sorry about the massive amount of text. I cant seem to fix it. ERROR: texture cache is full and nothing could be evicted! Crap, I'll play with it some more than. Maybe doubling it to 512 or even going up to 2gb. I assume that's the dedicated video RAM right, not the system memory?